Mezlan prioritizes quality with these ‘Miner’ derby shoes, using hand-finished artisan Italian leather to construct the two-toned upper. 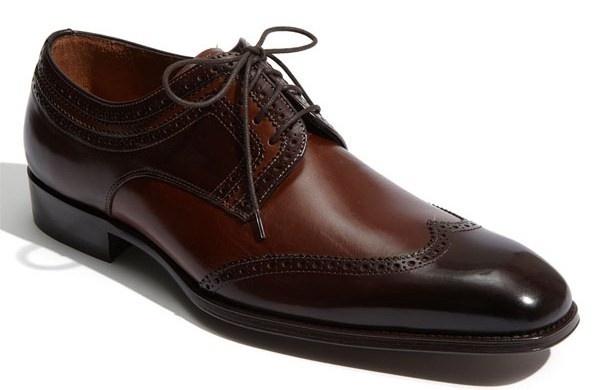 Detailed with classic wing-tip styling, the lace-up shoes are equpped with memory foam cushioning for your comfort. Handmade in Spain, you can get them online. This entry was posted in Footwear and tagged Spain. Bookmark the permalink.